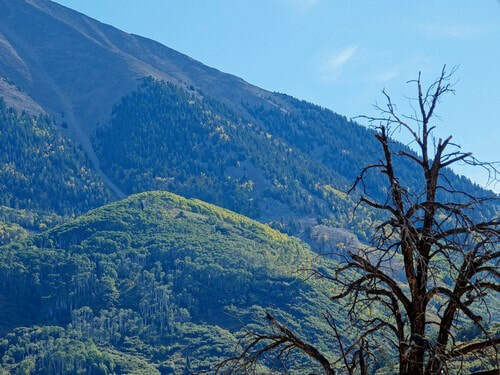 A loop trail through the La Sal Mountains going over both La Sal and Geyser Passes. 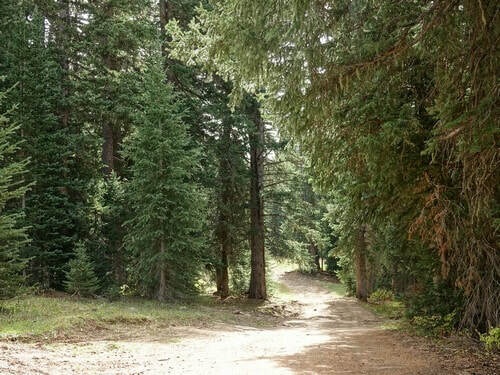 This is a great trail to get away from the Moab heat for a day. 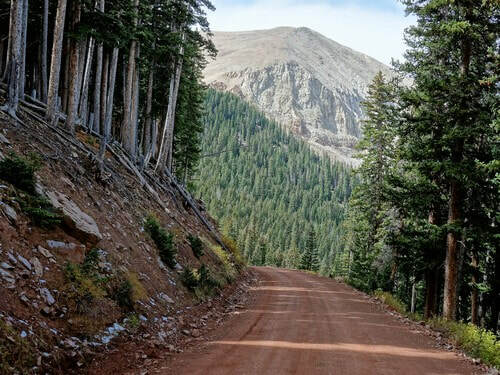 Start in the desert and climb up into dense forests. 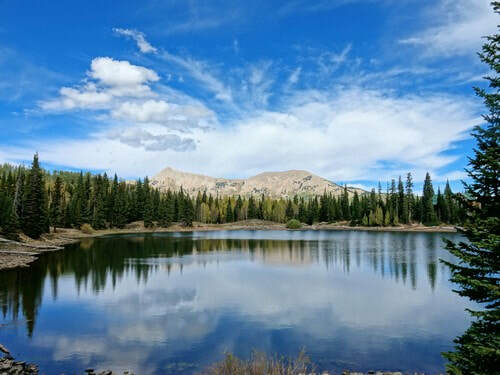 Visit lakes and enjoy closeup views of several peaks. 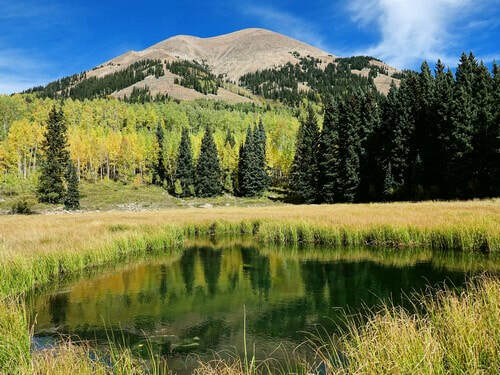 Many people show this trip as two distinct trails - La Sal Pass on the south and Geyser Pass on the north. 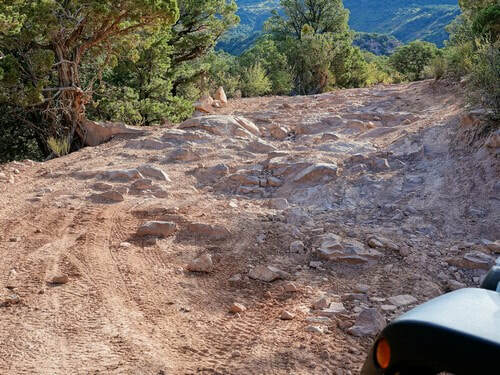 This trip can be done as shown with a 6-7 hour round trip from Moab, but could also be split into two more leisurely runs. 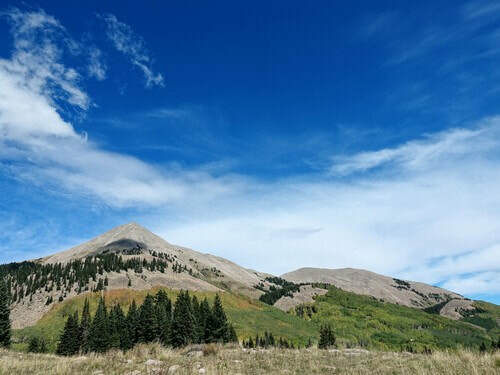 The west side of La Sal Pass is the only 2.5 rated part of the trip. The other roads are all rated GP. 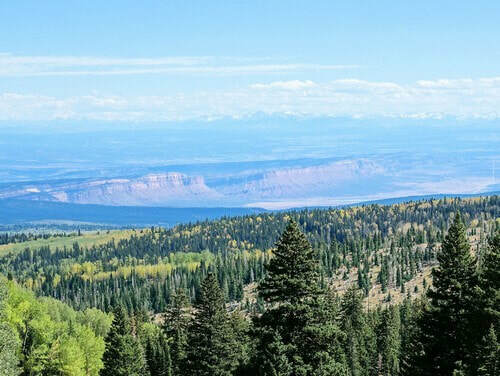 This description starts at the west end of La Sal Pass and ends at the west end of Geyser Pass. 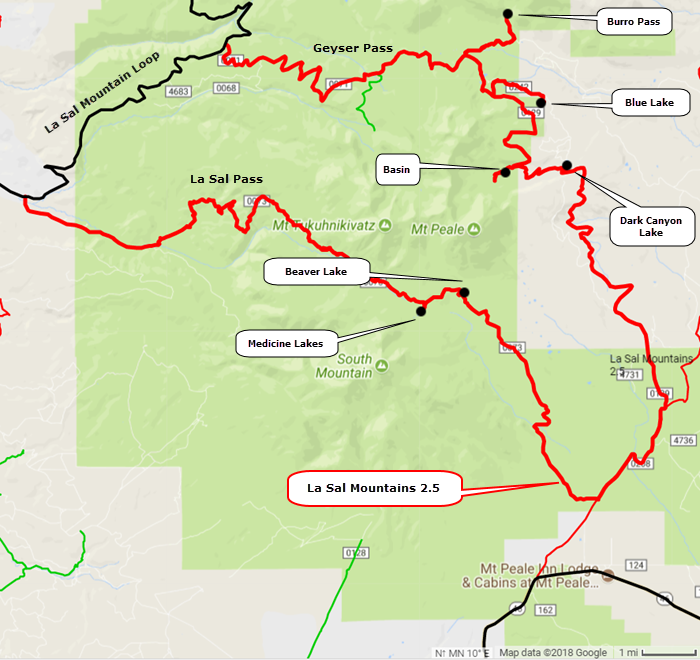 A loop starting and ending on paved La Sal Mountain Loop. 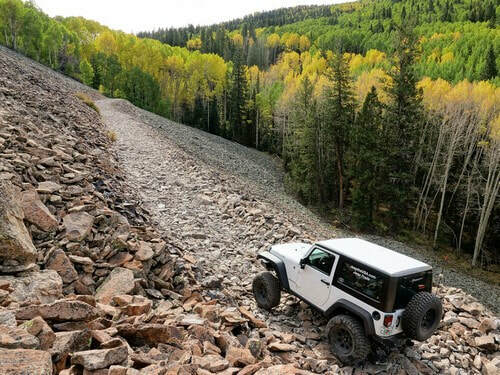 The west side of La Sal Pass is not our favorite Jeep trail. It is bumpy and spends a lot of time in oak brush with few nice views. It does pass the base of Mount Tukuhnikivatz. You should do this part of the run at least one time to see if we are lying to you. 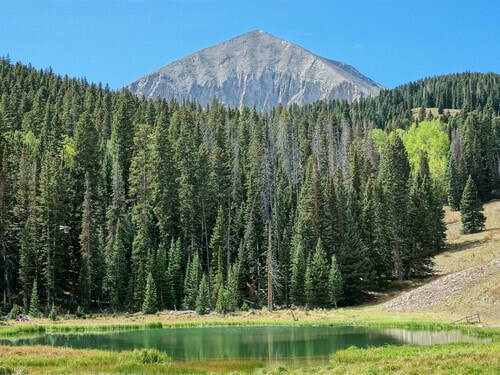 The next time we do the area we will start on Highway 64, drive up the east side of La Sal Pass, then back down the east side of La Sal Pass and over Geyser Pass. This is quicker and hits most of the major attractions. The upper part of the west side climbs high enough to enter dense forest and is quite nice. 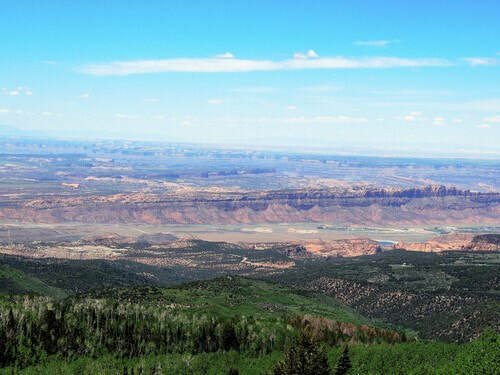 La Sal Pass is in a large opening with a view of Mount Peale (opening photo). Enjoy a break at the pass then head down the east side. There are spurs to Medicine Lakes and Beaver Lake. Hit the bottom then head up over Geyser Pass. 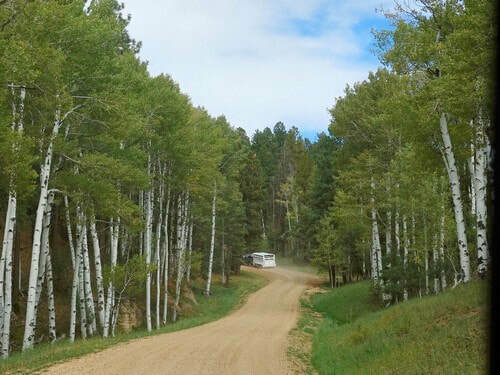 This is a wide graded road suitable for any vehicle. Take a short spur to beautiful Dark Canyon Lake. 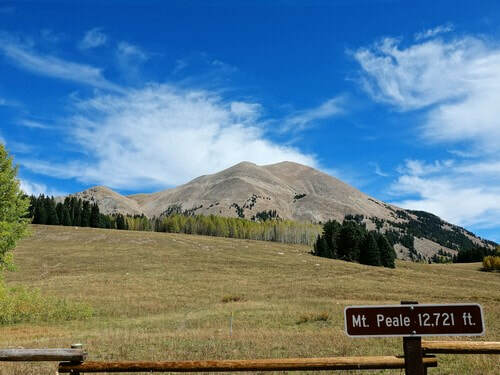 Another spur will take you to a basin between Mount Peale and Mount Mellenthin. 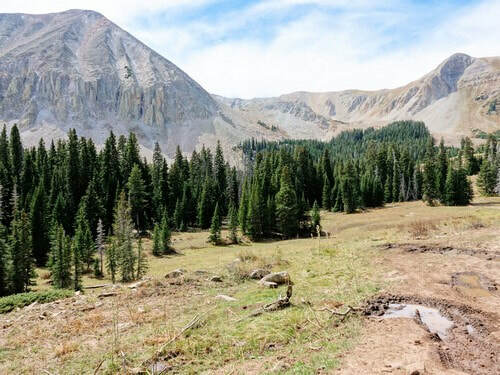 We suggest you drive as far as a muddy spot about half way in the trail, then walk a short distance to see the basin. The mud is not deep, but the view is no better at the end of the road. Another spur will take you to Blue Lake. A few nice views as you continue along the Geyser Pass Road. A spur to Burro Pass trailhead takes off at Geyser Pass. This offers a good view of Haystack Mountain and Mount Tamasaki. 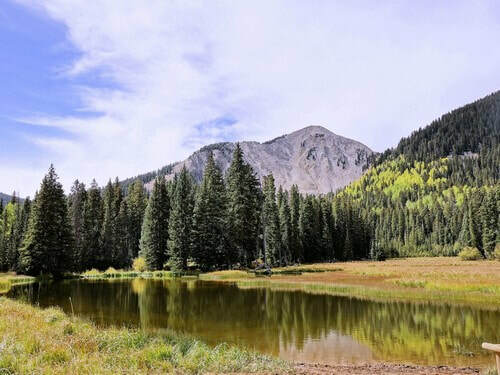 Drop down the west side of the pass and enjoy the scenery of Spanish Valley and Ken's Lake south of Moab.